Well, in the middle of all this holiday fun, my entire household has been fighting off not one, but two rounds of sickness! Yuck. So of course, my blogging, productivity, and enthusiasm has been a little lacking in pretty much everything. I actually was the lone survivor for round one, but having lost loads of sleep while comforting sick children in the middle of night I think my immune system took a dive and fell during the second invasion. Long story short- I've basically been operating in survival mode since Thanksgiving. This was a fun picture to scrap. You see, when I walk the dog, I am usually pushing a jogging stroller. People laugh at me sometimes. My own grandpa admitted to doing this one day when he passed me by. What?? Yes, I know my hands are pretty full and my dog could probably make the claim that he is walking me, but I handle it and apparently entertain people as I do it! I also quite enjoy it and I try to remember to take pictures whenever I feel inspired by the movement or the scenery. 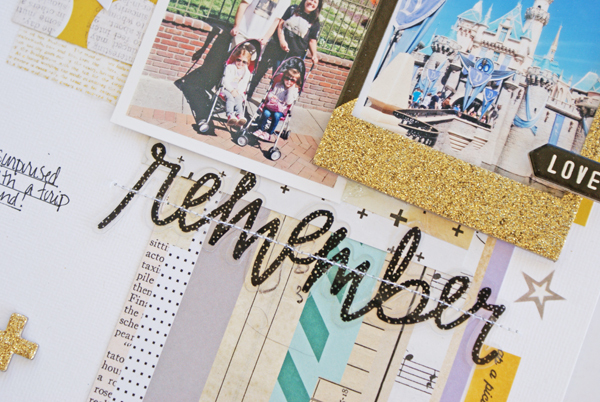 In other news, I have been working pretty steadily on my December Memories album. I had grand plans of sharing photos here on the blog, but I think that ship has sailed and am instead going to share those pages on Instagram. 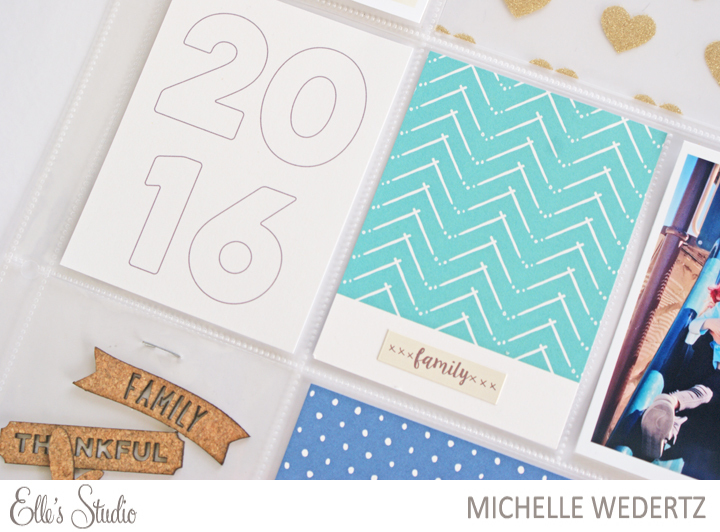 If you want to check them out, I am at @michellewedertz! Hello! 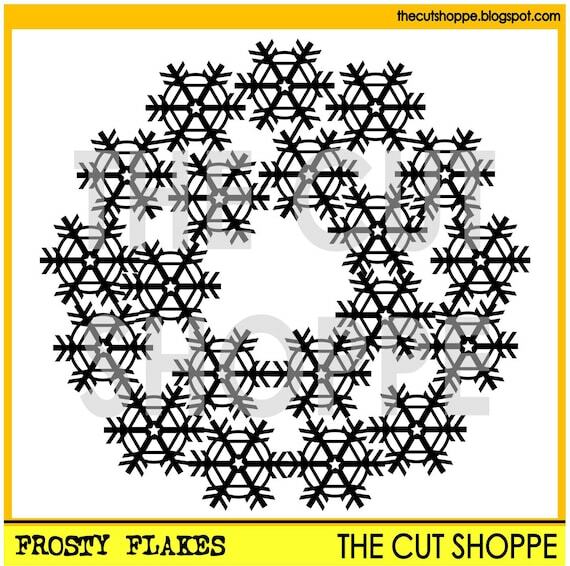 Michelle here with you today to share a new layout where I used both the new Frosty Flakes and Bits and Baubles cut files that recently became available in The Cut Shoppe. My daughter's neutral colored photo really opened up the gates for picking a color combination to use. I ended up using patterned paper from the very pretty Hello, Love Collection from Crate Paper as well as the Goldie Collection from Seven Paper. The floral paper was by far my favorite and I ended up layering it underneath the snowflake. 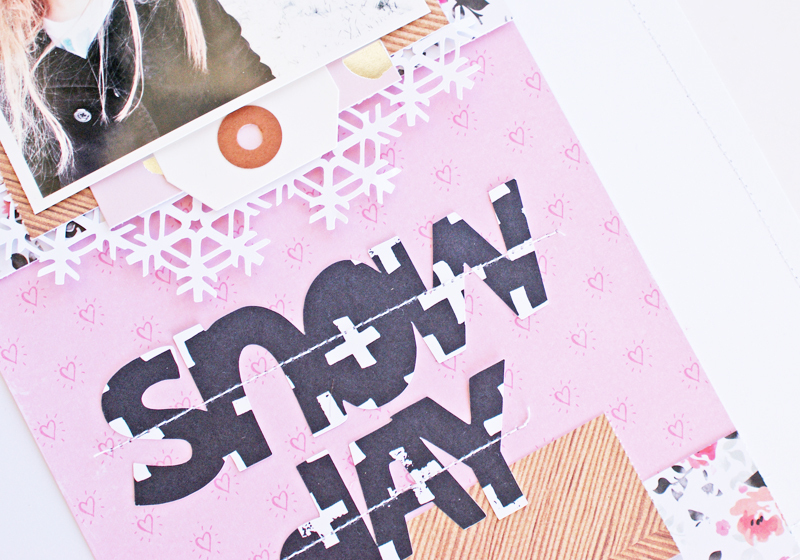 I chose to cut the "Snow Day" title out of a black patterned paper to create some contrast against the lighter colors. 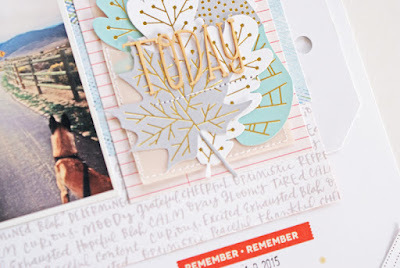 Welcome to my stop on the December Gosssamer Blue Inspirational Blog Hop! Michelle Wedertz <---You are here. I had planned on doing just a single traditional page, but I ended up using the stamp where I had wanted the journaling to go. To adjust for this I added in an adjacent pocket page, which not only gave me the needed room to tell the story, but also let me play in with more of the December goodies! 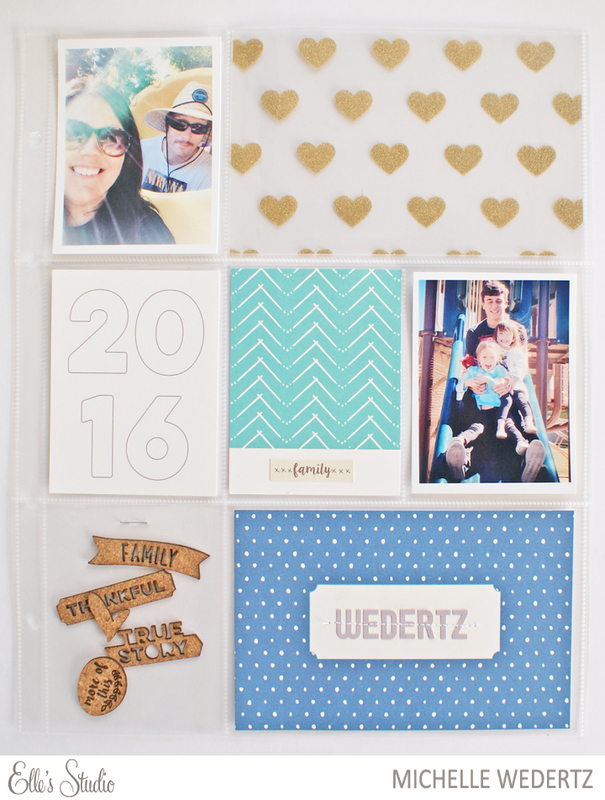 For my second project, I went ahead and totally jumped the gun and created my title page for my 2016 album! 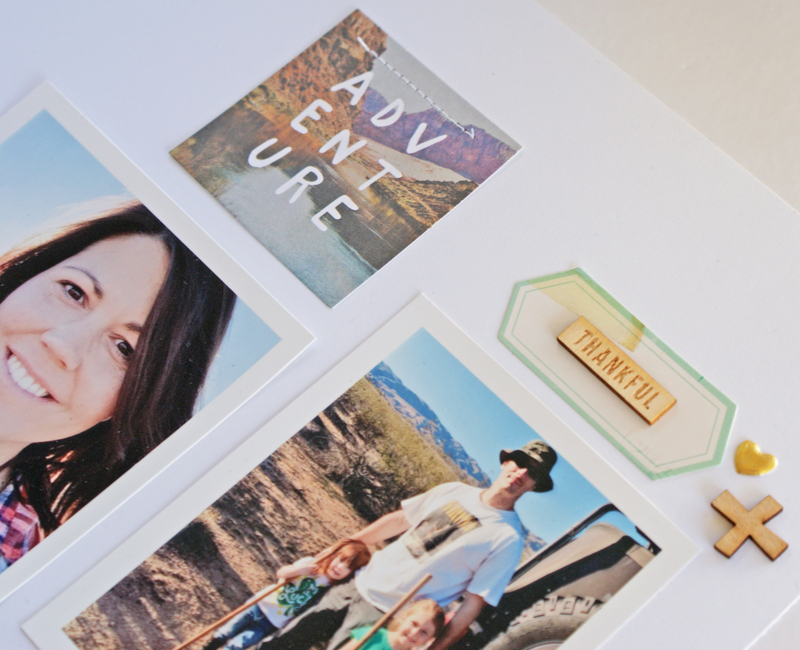 To compliment the two 3x4 journaling cards from the kit, I pulled out the Thankful collection. 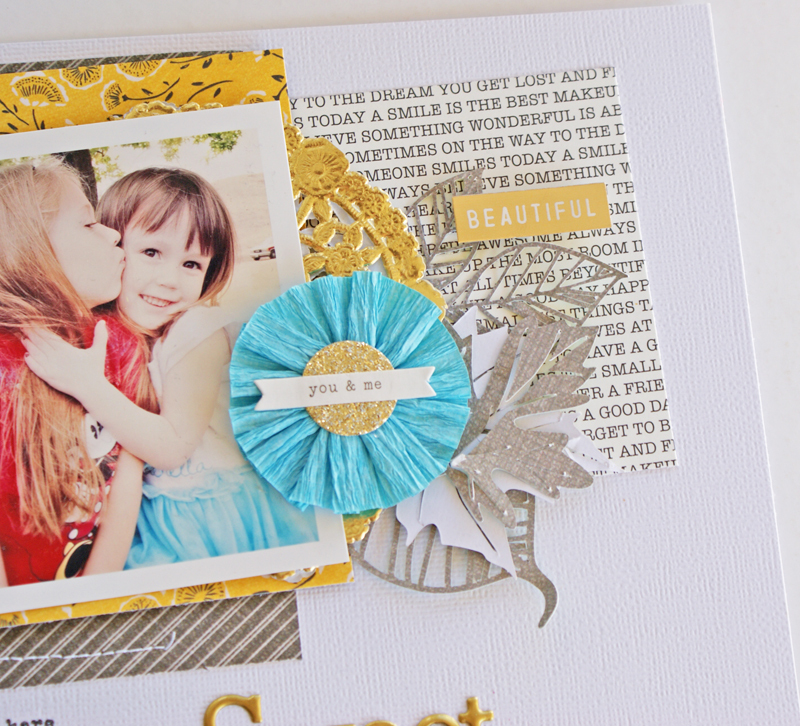 To see even more projects using this month's kit, head on over to the gallery! Hi all! Today I want to share my projects made with the December Kits from Citrus Twist! 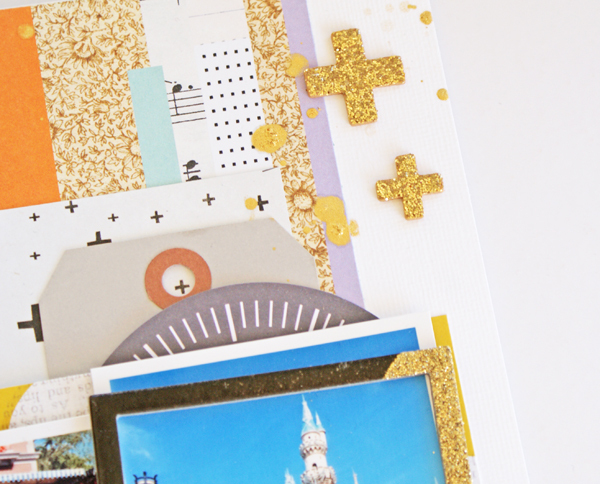 This month I actually had a super easy time creating, even with the hectic schedule of the holidays and the round of sickness that made its way through our house, and its all down to how fantastic the kits were! As I said earlier, I worked with "kits," which include the Scrapbook Main Kit, Embellishment Kit, Sprinkles Kit, and the Pattern Play #1 Kit. You can see photos of the kits in full HERE. 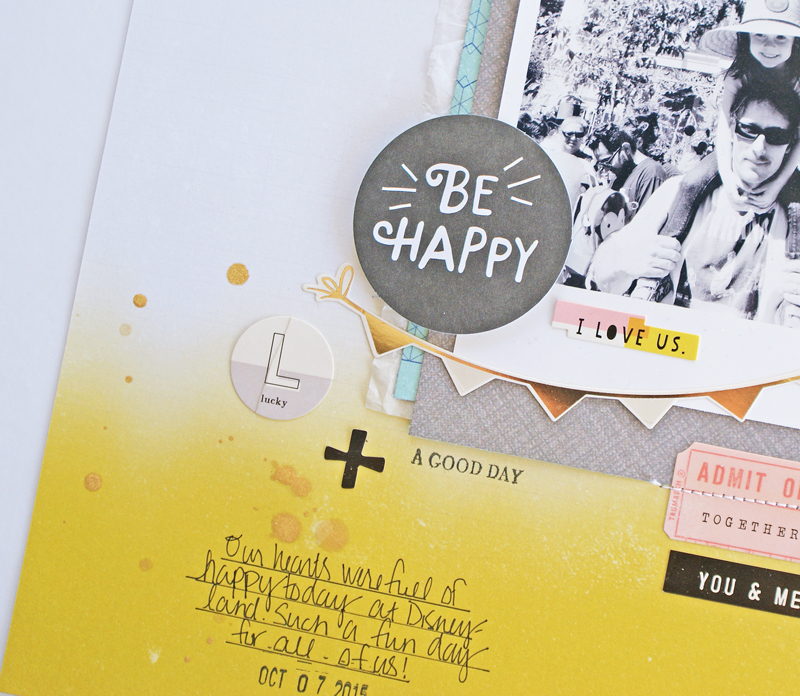 This layout was about simple layers and stickers--which are my most used scrapping supply. There is a little bit of all the kits in this next one, except for the paper clip which is from an older kit. 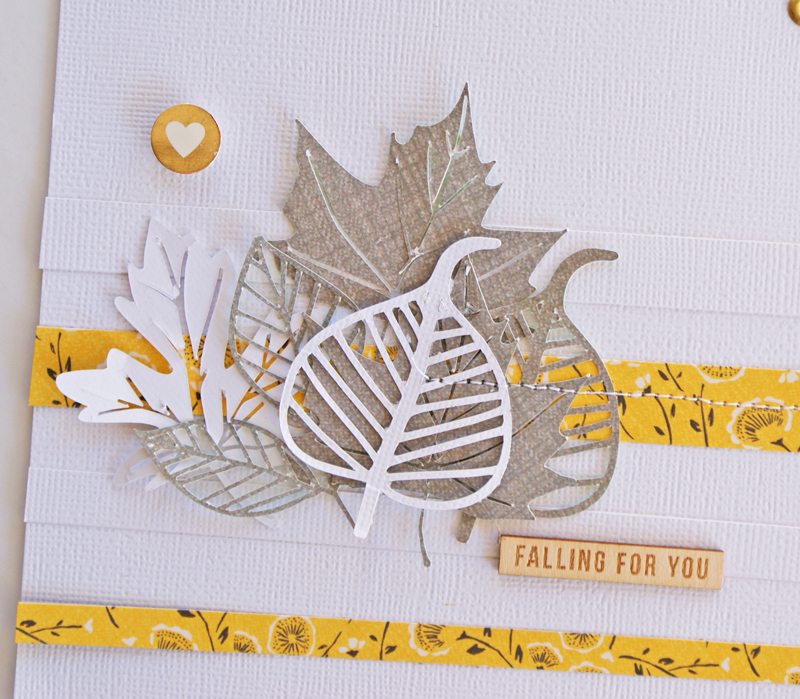 The yellow paisleyish patterned paper is from Basic Grey and I loved it! The yellow gold color is super pretty and made me think of all the Laura Ingalls Wilder books I read growing up! 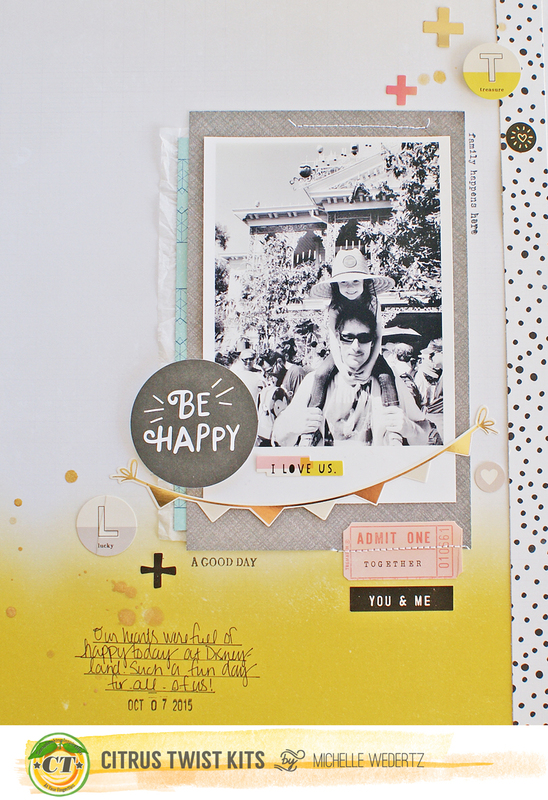 The third and final layout that I am sharing is probably my fave of the bunch and it was the most simple to put together. 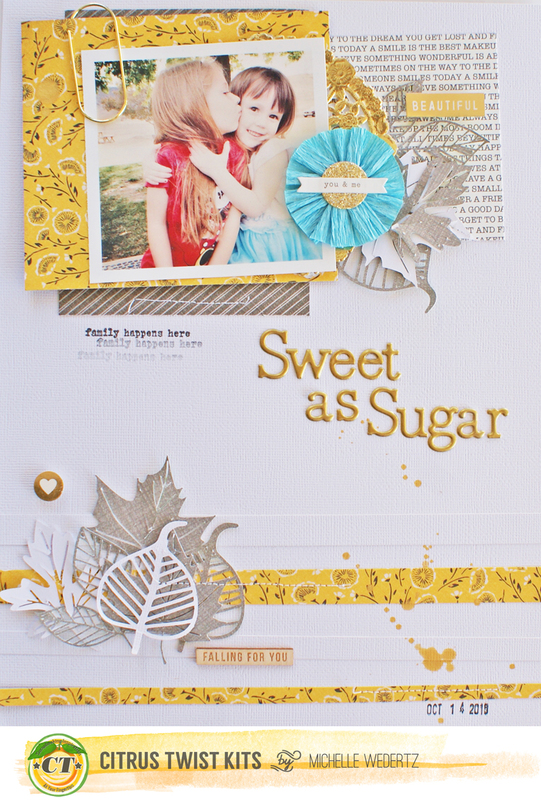 This page was solely inspired by the diecut squares from the new Goldie Collection from Seven Paper. 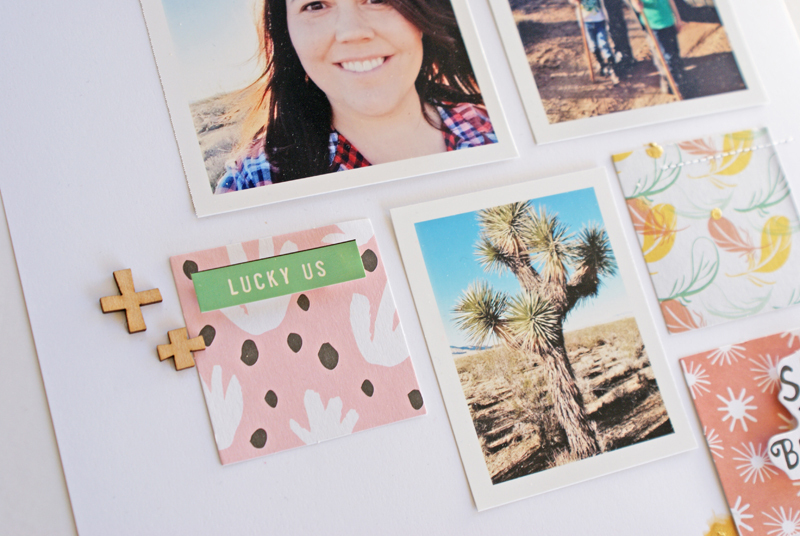 I had them laying out on my work space and as I was looking at them it hit me that they would work perfectly for a recent drive out to the desert that my husband had taken us girls on. 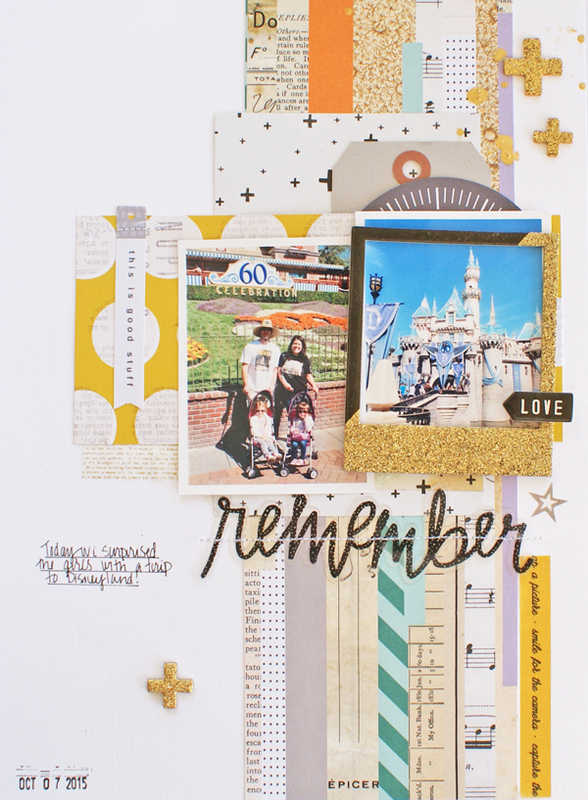 I almost stopped mid-layout to jump to this one! Well there you have it, my first three projects using the December Kits from Citrus Twist! As always, thanks for stopping by! 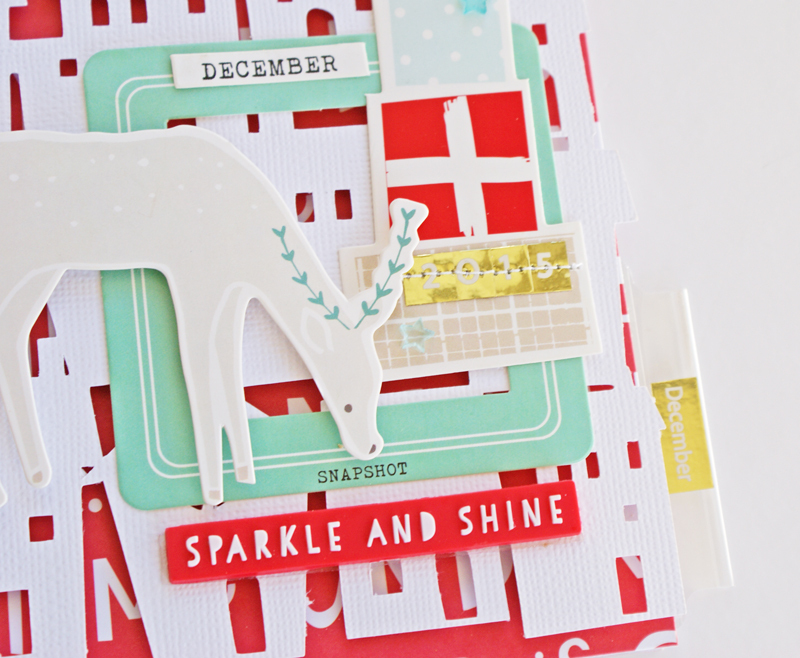 This week The Cut Shoppe has teamed up with Pinkfresh Studio for a fun holiday product swap. 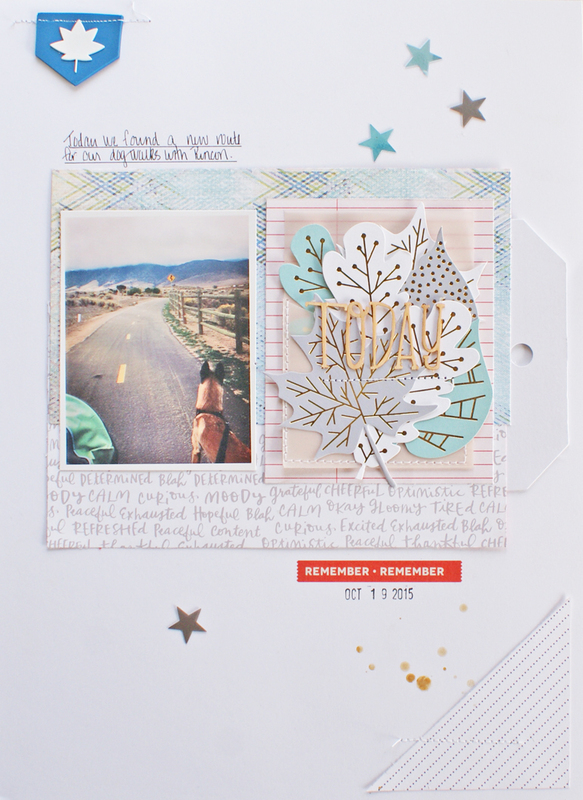 For my project, I decided to take on the task of creating the introduction page to my December Daily album for 2015. The opening pages to my album set the tone of the album and I wanted to make them extra special. It is the first thing you see when opening the album and I want it to be like opening a gift on Christmas morning (at least, that's what I am shooting for!). With the combination of Pinkfresh Studio's Christmas Wishes Collection and the new Home for Christmas cut file from The Cut Shoppe, I had an easy time putting together the beginning of my December album. 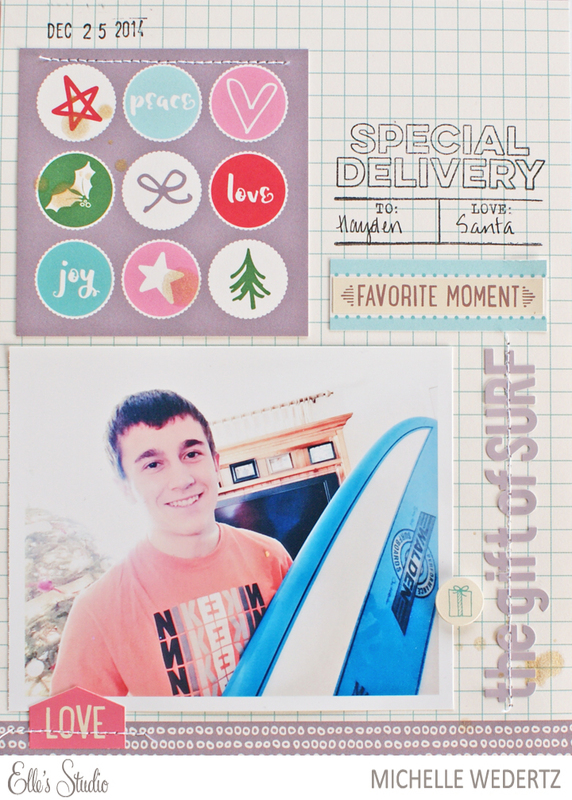 I cut the Home for Christmas background out of textured white cardstock and mounted it on top of the bright red patterned paper from Pinkfresh with pop dots. I had originally planned to just lay it flat on top, but the added dimension made a huge visual difference. 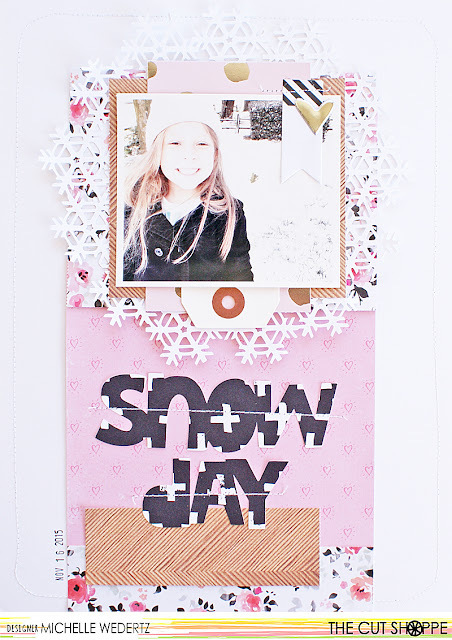 After that I went to town layering some of my favorite die cuts from the Christmas Wishes collection in the lower right corner. 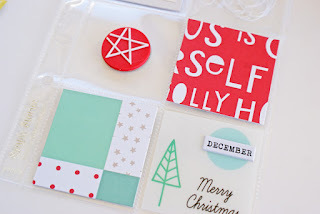 One of the main reasons I wanted to include a pocket page was so that I could include some of the 2x2 acetate squares from the Christmas Wishes collection. I really like to play around with transparant pockets in my albums because I think it is fun to see a peak at what is comeing next. 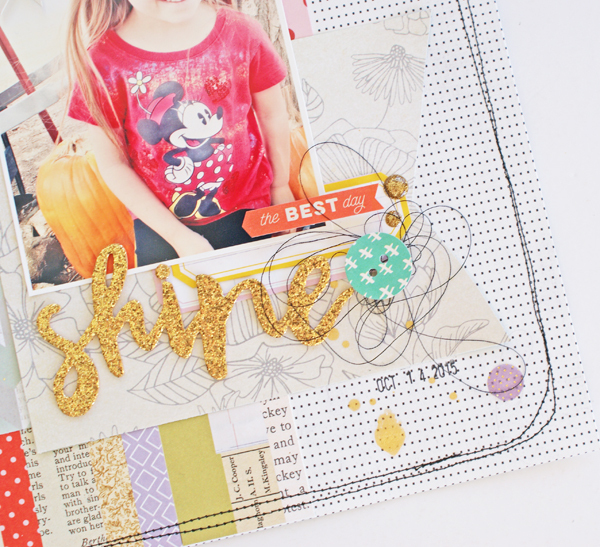 This page ended up being a mix of patterned paper, acetate squares, and embellishments. 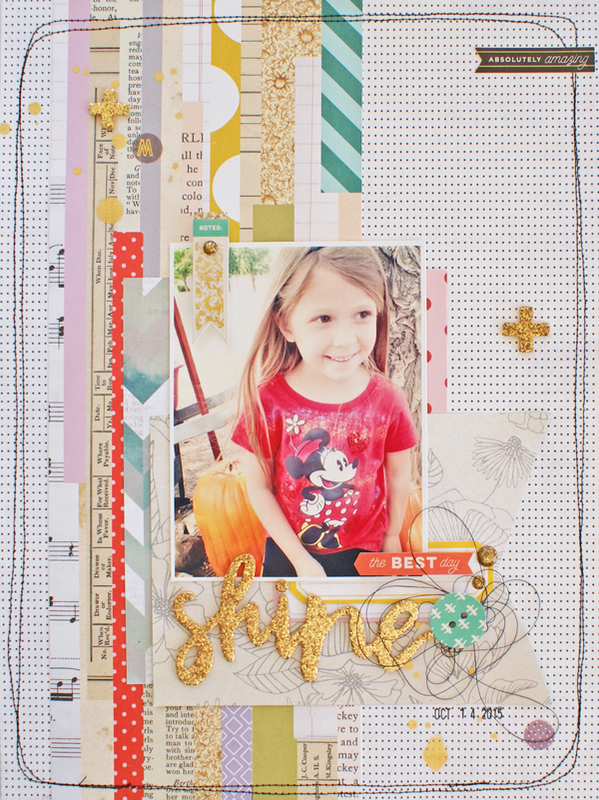 In celebration of this fun team up, The Cut Shoppe is giving away a Pinkfresh Studio goodie bag on The Cut Shoppe Blog and Pinkfresh Studio is giving away a $25 Gift Certificate to TCS on their Blog. 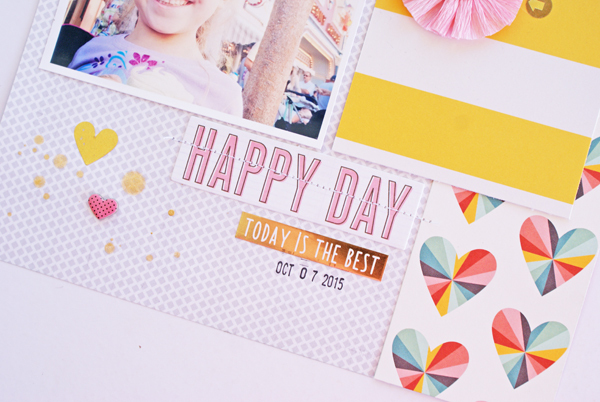 ONE winner will be chosen from all of the comments this week, so make sure you comment each day on both Blogs. Winners will be announced on DECEMBER 6TH! 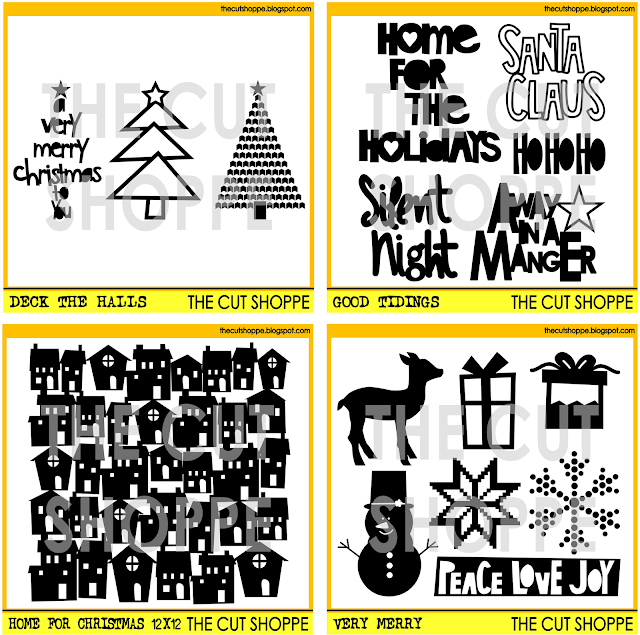 Here's a look at all of the new sets, which include the Home for Christmas cut file that I used, that are now available at The Cut Shoppe. 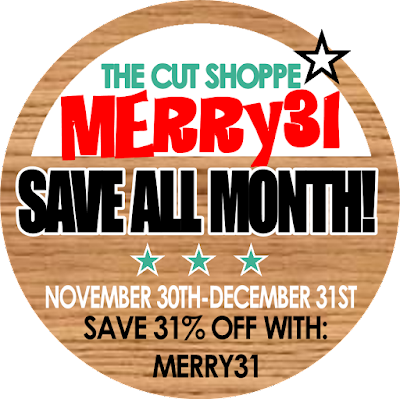 AND...while you're shopping, use our month long Discount Code to save 31% off of your purchase! Yay! We're passing on savings to you all month long, as our Christmas gift to all of our awesome readers! Hi guys! 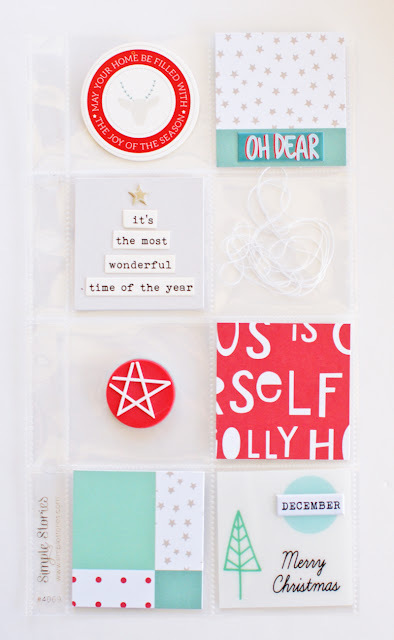 Today's blog post is all about the December Kits from Gossamer Blue! Yay! 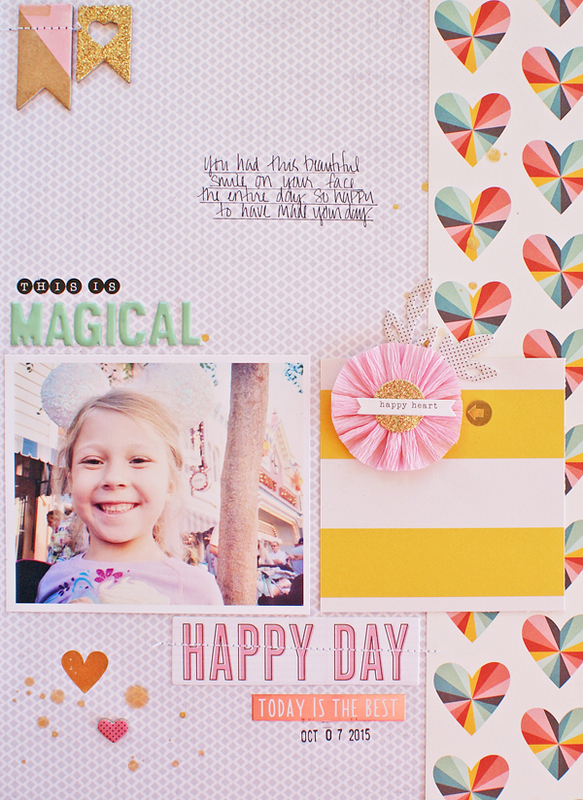 This month the kits really inspired me and I was a happy scrapper as I put together new layouts use the lovely mix of products that include the newest products from Crate Paper, Pink Paislee, and Seven Paper (aka Studio Calico). Seriously, the sheet of heart patterned paper from Seven Paper was one of those where I felt super torn between keeping it whole and saving forever or cutting it up and using everywhere! I chose to cut it up ;). I sort of surprised myself with this next layout. Early on as I was beginning to piece together the basic design, I had the crazy idea to switch up my usual white thread to BLACK and stitch all over. I was super happy how that random thought turned out! I really believe that my change in thread color took this layout to a new level. Funny how such a simple change up can make a whole lot of difference! Well, that's all I am sharing for now, but I won't hold out on you too long! 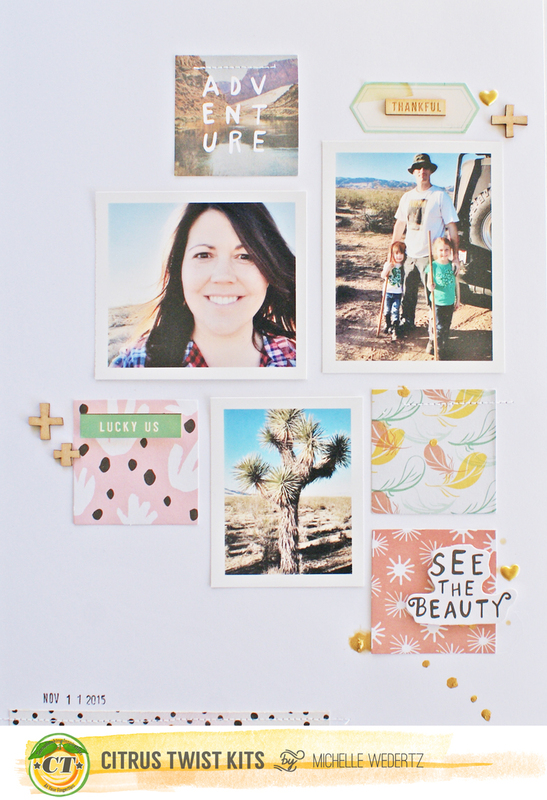 If you want to see a sneak peak of my other projects as well as check out the rest of the design team's work, you can head on over to the Gossamer Blue Gallery where there is loads of inspiration!